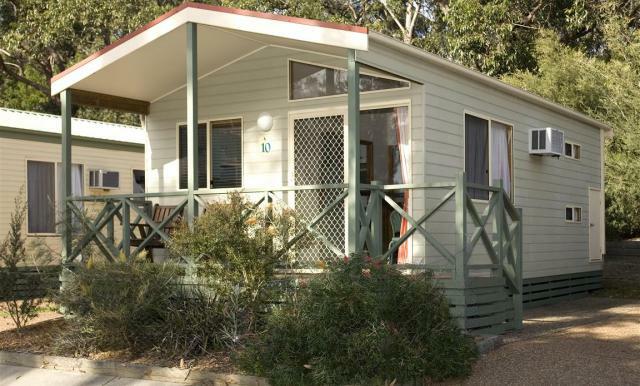 Lakehaven Cabins are situated against the beautiful backdrop of the Lake Conjola National Park. 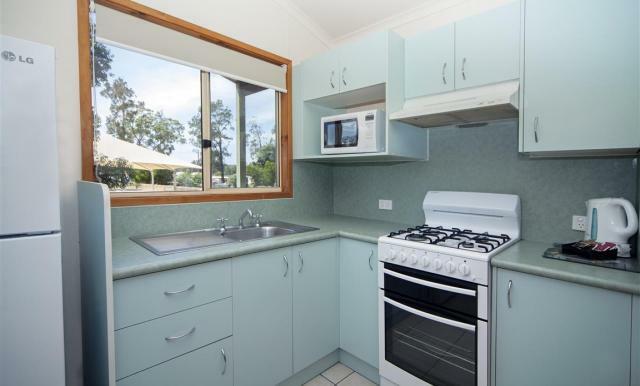 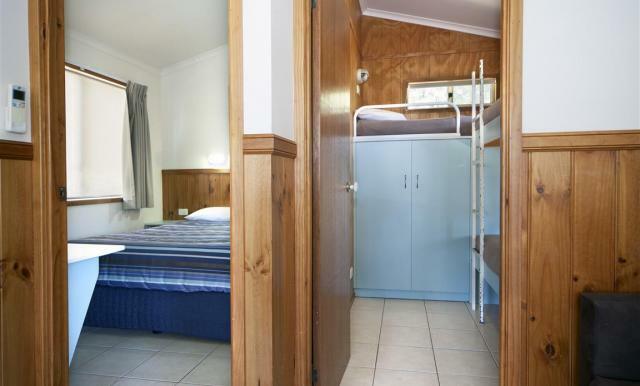 These cabins feature a fully equipped kitchen with a full fridge, microwave, oven, reverse cycle air conditioning, flat screen T.V, DVD player and a bathroom. 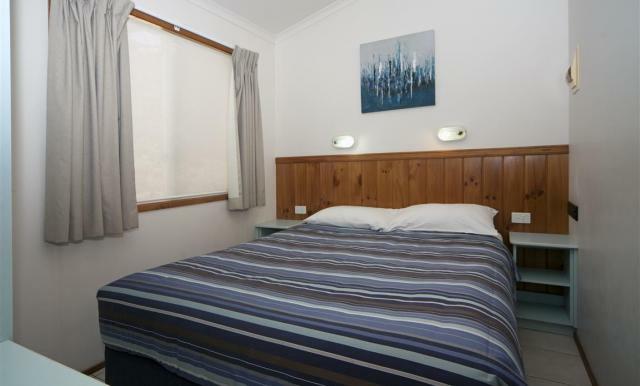 The Lakehaven cabins sleep 5 with the main bedroom consisting of a Queen size bed with blanket, sheets, pillows and towels provided and a second bedroom consisting of three bunks. 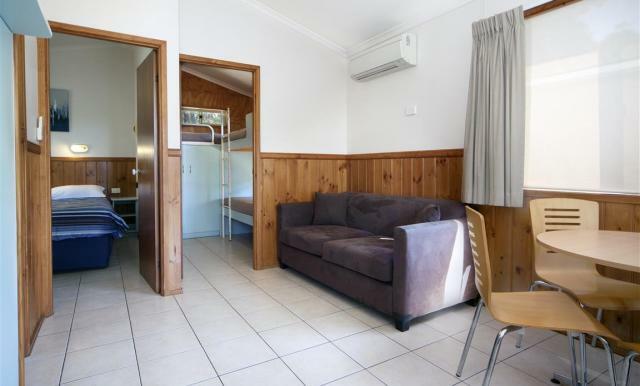 A short distance away is a sheltered BBQ . 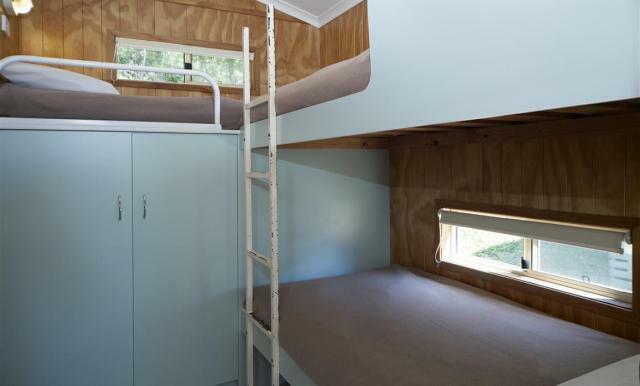 Sit on your private balcony and watch the kids enjoy themselves on the Jumping Pillow and Climbing Spider.